Another Freighter made its way into town to unload more salt onto the “White Mountains of Portsmouth”. I stopped to watch some of the action as the cranes on the waterfront unloaded some salt into new piles. The blur of the lights is from the movement of the crane, and you can see a faint remnant of some orange lights from the loader that was moving the salt around on the ground. I’ll put up a video later today that captured some of the action as it was happening. 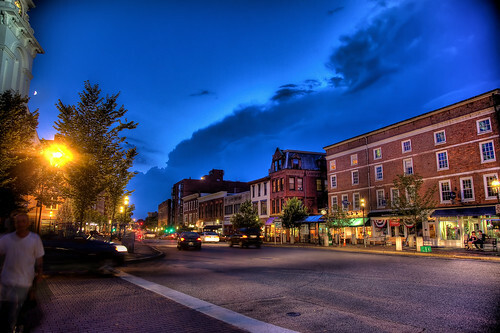 A glimpse of Congress Street with some interesting clouds overhead as evening sets in. Be sure to check out the large version on a black background by clicking on the image. 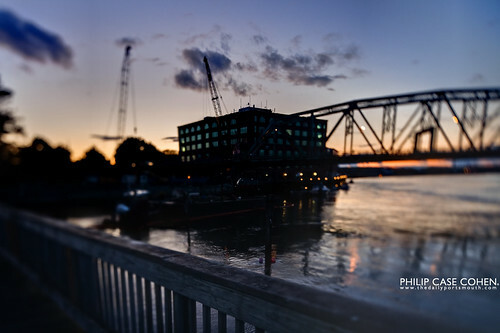 As the daylight disappears over the horizon and underneath the Memorial Bridge, the construction cranes at the former Pier II can be seen as work progresses on the new condos being built. It will be interesting to see the structure continue to grow and how it complements the waterfront, replacing the old dilapidated Pier II restaurant. Harbor Place, now an office building, sits on the banks of the Piscataqua River and has a storied past as various uses including a brewery, coal storage and power plant. Check out some cool vintage photos and read more about its past over at SeacoastNH.com. Today’s shot was taken with a tilt-shift lens rented from BorrowLenses.com. 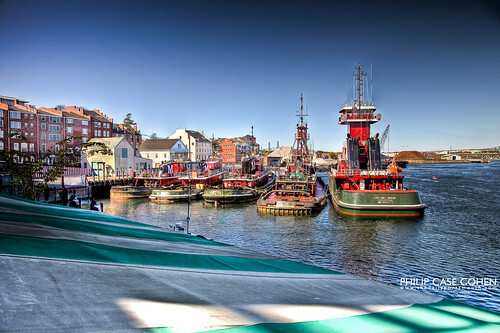 This weekend, two special guests arrived on the Portsmouth waterfront, the Lois Ann L. Moran and the Jennifer Turecamo. Since I missed posting yesterday, thought I’d treat everyone to 4 shots today. 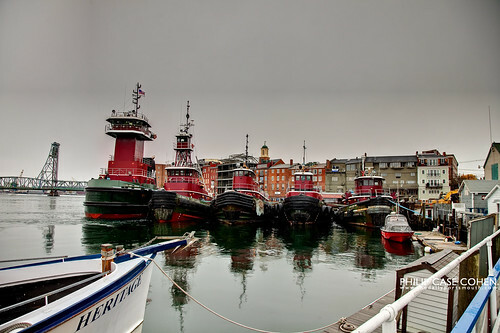 These two tall tugboats joined the Moran Towing fleet of 3 tugs. 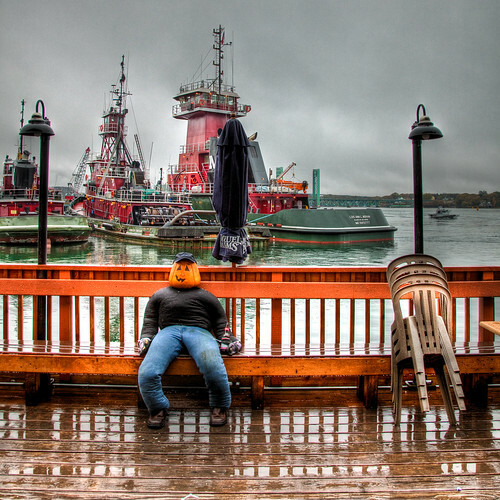 The only thing better than everyone’s beloved Portsmouth tugboats are more beloved tugboats. 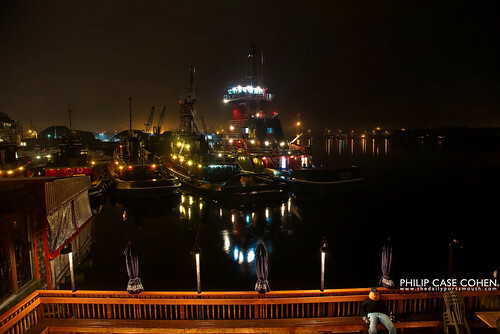 The above shots were taken from the Portsmouth Harbor Cruise deck and just above the Harpoon Willy’s deck …while the night shot below was taken from the upstairs window of The River House.